The Cover Contessa: 100 FOLLOWER Giveaway! I am very excited to have reached 100 followers. In honor of this, I am going to give away a book! EEP! So excited. I had the honor of meeting Charlotte and Natalie at the YA Fest in Easton, PA in the beginning of August! They were totally awesome and gave me some great advice about helping two of my friends beta read and edit books they are writing! Nice, right??? The giveaway does not include the booksmarks (sorry my friends) and is for US residents only (again, sorry my international friends). So just enter the Rafflecopter below and you could win this lovely beauty to have as your very own!!! I want to read this book because I read the blurb a few months ago and I was hooked! It seems like an amazing story! The cover is awesome and...it just looks great. The story is very intriguing. Sounds like an interesting story. I've seen the cover before and was intrigued! 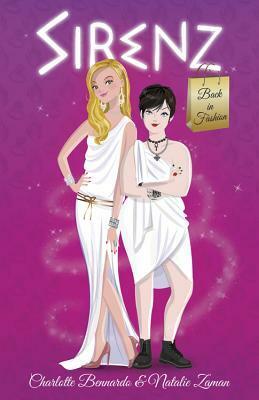 I would love to read this book because I love books on Greek mythology. It would also give me an excuse to buy #1! Thanks for the giveaway & congrats on the 100 followers!! I absolutely love books that are about mythology and this sounds like an excellent read. Aww...sorry Rebekah. Maybe when I get more followers I can have an international one!!! My daughter wants to read this! I want to read this book because Brooke said its good, so it must be! I have the first one signed so I really want the second one!